My research program adopts a cross-disciplinary approach to provide theoretical, methodological and empirical evidence on improving the quality of accounting, accountability and corporate governance across countries such as Australia, China, India, Malaysia, Germany, Indonesia, Fiji and Japan. I provide leadership in establishing a globally strong reputation in International Accounting research at Macquarie University, Australia (see http://mq.edu.au/research-impacts/2014/09/01/international-accounting/). We are recognised as pioneers and leaders in International Accounting research. My research shows the importance and relevance of culture and contextual factors and the findings clearly show that unique social, economic and political factors of countries cannot be ignored in improving accounting and corporate governance both within and across countries. I have 1234 citations (782 since 2012), h-index of 17 and i10-index of 25. 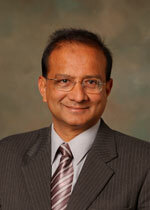 I have published five research monographs with Emerald and Elsevier JAI and published extensively in leading scholarly journals including European Accounting Review, British Accounting Review, Accounting, Auditing and Accountability Journal, Critical Perspectives on Accounting, Advances in International Accounting, Journal of Business Ethics and Journal of International Accounting Research (AAA). I am on the editorial board of scholarly journals including Accounting, Auditing and Accountability and Advances in Accounting and was the Associate Editor of Journal of International Accounting Research (a journal of the American Accounting Association). I have also delivered keynote addresses at International Conferences and many invitations to speak at research meetings. My research program has attracted international research grants from China, India, Demark and Japan. I have been a visiting scholar at universities in the USA, UK, Italy, China, India, Malaysia, Fiji and Canada. My global research strength attracts quality PhD students and visiting scholars from countries such as China, Japan, India, Indonesia, Italy, Bangladesh, Pakistan, Sweden, Denmark and Germany. Since 2008, I have successfully supervised 12 PhD students to completion. Each of the successful PhD students has received excellent examiners’ reports including three candidates who were awarded Macquarie University’s Vice Chancellor’s commendation for excellence. Scholars come to Macquarie to work under his supervision on various research projects for periods ranging from two weeks to two years. I have mentored visiting scholars from Pune University (India), Wuhan University (China), Nanjing Audit University (China), Hunan University of Science and Technology, University of Torino (Italy), University of Nagoya (Japan), Yokohama University (Japan), Joenkoeping International Business School (Sweden), and Aalborg University (Denmark). I am passionate about building research capabilities particularly at universities in emerging countries. I have conducted workshops universities in China, Malaysia, Fiji, Sri Lanka and Indonesia to build their research capabilities. I do not ask for any financial rewards.Over the last five years, 322 staff and HDR students have participated in my research workshops. My contributions have been particularly valued by universities in emerging countries. For example, in 2017 the University of Jaffna in Sri Lanka awarded me for “…dedicated services rendered to the University”. I have extensive university teaching experience and have acted as an adviser to Asian Development Bank, World Bank and World Health Organization. I was a member of the Outstanding Dissertation Award Committee of the International Accounting Section of the American Accounting Association. I am the New South Wales president for the Institute of Certified Management Accountants of Australia (CMA). I delivered the keynote address entitled, “A Pacific Perspective on National Health Accounts” at the World Health Organisation Workshop on National Health Accounts which contributed to the publication entitled, “Framework for the Development and Institutionalization of National Health Accounts in the Pacific Island Countries”, World Health Organization. I accepted an invitation by the Secretary of Finance of Papua New Guinea to help improve the quality of accounting and governance in that country. In 2017 I was inducted into the Global Accounting Hall of Fame in recognition “…of an outstanding contribution and a lifetime of achievement”. I have won a number of awards including Macquarie University Outstanding Teacher Award, Macquarie University’s Outstanding Community Engagement Award and Macquarie University’s International Achievement Alumni Award for distinguished service for outstanding contribution to the enrichment of International society through community and professional service. I also highly commended for 2015 and 2017 Macquarie University’s Research Excellence Award. I was appointed by the Norwegian Government to the Research Council of Norway responsible for assessing the quality of research grant applications. I was appointed by the University of Torino on their International Experts’ Panel for their PhD Program and was selected as the Organisation for Economic Co-operation and Development (OECD) member on their professorial committee. I was also appointed by the Social Sciences and Humanities Research Council of Canada (SSHRC) to assess research grant applications. SSHRS’s mandate is to support and develop excellence in research activities in the social sciences and humanities. In conclusion, I undertake top-level research in areas that excite global interest, mentors research students and colleagues, publish high-impact papers, collaborate with colleagues locally and globally, and develops skills, knowledge and attributes in the next generation. Awarded by Sino-Danish Centre for Education Research (SDS), Aalborg University, Denmark. Project entitled, "The Influence of Contextual Factors on Business Models: Developing Innovative Business Models Suitable for China. Awarded 82,115kr (A$17,000) seed money plus 84,000kr (A$17,400), 2016-2017. Team comprises Christian Nielsen, Business Model Design Center, Department of Business and Management, Aalborg Ø, Denmark; Professor Chaoying Tang, Chinese Academy of Science, Beijing and staff from International Accounting Network including Chris Patel, Parmod Chand and Peipei Pan. Ministry of Education of Humanities and Social Science Fund: the innovation of environmental management accounting based on value stream analysis under the background of low carbon (Awarded RMB70,000, A$14,600), with principal investigator, Professor Xiying Luo. As the Principal Investigator together with five other staff members in FBE awarded $26,300 from Office of Learning and Teaching Grant, Australian Government for a project entitled, “Building Discipline-specific Communication Skills in Accounting” (2014-2015). Awarded A$83,000 from the National Science Funding Council of China for a project which examines various aspects of Chinese professional accountants' judgments and convergence of financial reporting. This grant is jointly with Professor Linda Liu from Wuhan University, China. 2012 to 2015. Awarded $5966 by AFAANZ Research Grant for a project entitled, “The Effect of Multiple Large Shareholders on Corporate Investment, 2013 with Meiting Lu. Research paper entitled, "The Case for Economic and Accounting Dualism: Towards Reconciling the Japanese Accounting System with the Global Trend of Fair Value Accounting", with N. Tsunogaya, was supported by Grant in Aid for Scientific Research by the Japan Society for the promotion of Sciences, Y800,000. Received A$17,000 from Matrix Consultations and Institute of International Business Studies for a project entitled, "Globalisation and Convergence of Financial Reporting in India: Issues and Challenges". Inducted to the 2017 Global Accounting Hall of Fame 2017, Institute of Certified Management Accountants in recognition “…of an outstanding contribution and a lifetime of achievement”. Highly commended by Macquarie University for Excellence in Research-Higher Degree Supervision, 2015 and 2017. Macquarie University Outstanding Teacher Award, 2004. Awarded best paper awards at conferences and scholarly journals. Scholars come to Macquarie to work under my supervision on various research projects for periods ranging from two weeks to two years.I have mentored visiting scholars from Pune University (India), Wuhan University (China), Nanjing Audit University (China), University of Torino (Italy), University of Nagoya (Japan), Yokohama University (Japan), Joenkoeping International Business School (Sweden), and Aalborg University (Denmark). I have acted as an adviser to Asian Development Bank, World Bank and World Heath Organization. I have been a visiting scholar at universities in the USA, UK, Italy, China, India, Malaysia, Fiji and Canada. In 2011, I was appointed by the Norwegian Government to the Research Council of Norway responsible for assessing the quality of research grant applications. In 2014, he was appointed by the University of Torino, Italy, on their International Experts’ Panel for their PhD Program and in 2015 he was selected as the Organisation for Economic Co-operation and Development (OECD) member on their professorial committee. In November 2015, I was appointed by the Social Sciences and Humanities Research Council of Canada (SSHRC) to assess research grant applications. SSHRS’s mandate is to support and develop excellence in research activities in the social sciences and humanities. The International Accounting Standards Board uses the concept of "substance over form" to describe the importance of judgments in accounting. However, the standard setters in accounting provide no discussion of the various factors that may influence judgments. On the contrary, they have assumed that judgments exercised in various countries are largely consistent, neutral and value-free. Chris adopts a multi-disciplinary approach to provide theoretical, methodological and empirical evidence on various aspects of business and accounting across countries such as Australia, China, Germany, Italy, Indonesia, India, Malaysia, Fiji and Japan. His research program has attracted both international and national research grants. This global research strength attracts quality PhD students and visiting scholars from countries such as China, Japan, India, Indonesia, Italy, Bangladesh, Pakistan, Sweden, Denmark and Germany. He also provides research support and mentoring to students and staff in emerging countries. "Construal of self and Chinese accountants' aggressive financial reporting judgments", with Peipei Pan, Accounting, Auditing and Accountability Journal 2017, Vol. 30, issue 8, p. 1771-1795. (ranked A). “A Critique of Gray’s Framework on Accounting Values”, with Eva Heidhues. Critical Perspectives on Accounting, 2011, vol. 22, pp.273-287. (Ranked A by ERA and ABDC). “Holier-than Thou Perception Bias Among Professional Accountants: A Cross-Cultural Study”, with Brian Millanta, Advances in Accounting,2011, Vol. 27, No. 2, pp. 373-381. (Ranked A by ERA). “The Case for Economic and Accounting Dualism: Towards Reconciling the Japanese Accounting System with the Global Trend of Fair Value Accounting”, with N. Tsunogaya, Accounting Economics, and Law, 2011, Vol. 1, Issue 2, pp. 1-52. Interpretation and Application of 'New' and 'Complex' IFRS: Implications for Convergence of Accounting Standards", with Parmond Chand and Arvind Patel, Advances in Accounting, 2010, Vol. 26, pp. 280-289. (Ranked A by ERA). “Contextual Issues of the Convergence of Financial Reporting Standards: The Case of Germany”, with Andreas Hellman and Hector Perera, Advances in Accounting, 2010, Vol. 26, pp. 108-116. (Ranked A by ERA). “Some Theoretical and Methodological Suggestions for Cross-Cultural Accounting Studies”, International Journal of Accounting, Auditing and Performance Evaluation, Vol. 1, No. 1, 2004, pp. 61-84. “Some Cross-Cultural Evidence on Whistle-Blowing as an Internal Control Mechanism”, Journal of International Accounting Research, (a journal of International Accounting Section of American Accounting Association) Vol. 2, 2003, pp. 69-96. Ranked A by ERA. “Debiasing the curse of knowledge in audit judgements: Experience reconsidered”, with R. Reeve, H. Holmes and P. Li, SA Journal of Accounting Research, 15(2), 2001, pp.1-17. "Assessment Methods and the Development of Higher Order Thinking Skills in Accounting Students", with J. Romcke & R. Day, Accounting Research Journal, Volume 11, No.1, 1998, pp.298-309. This paper was awarded the 1998 Accounting Research Journal Manuscript Award. "Accounting for Income Tax and Companies' Manipulation of Profits: An Australian Case Study", with J. Psaros & W. Henderson, Journal of Accounting and Finance, Vol. XI, No.1, 1997, pp.1-16. "The Influence of Cognitive Style on the Understandability of a Professional Accounting Pronouncement by Accounting Students", with R. Day, British Accounting Review, Vol.28, No.2, June 1996, pp.139-154. (Ranked A by ERA and ABDC). "The Application of the Marketing Concept in Textbook Selection: Using the Cloze Procedure", with R. Rugimbana, Journal of Marketing Education, Portland State University, USA, Vol.18, No.1, Spring 1996, pp.14-21. (Ranked A). In terms of importance, prestige and familiarity index, this journal is ranked 15th out of 41 scholarly refereed marketing journals (Website of Michigan State University, http://garnet.acns.fsu.edu/~thult/Jme.htm). Also see G. Hult, W. Neese and R. Bashaw, “Faculty Perceptions of Marketing Journals”, Journal of Marketing Education, Vol. 19, No. 1, 1997, pp. 37-52. "A Case Study of Work-Related Values in Ukraine: Implications for Designing Effective Organizations", with R. Lanis, Ukrainian Economic Review, Temple University, Philadelphia, USA, Vol.1, No.1-2, 1995, pp.64-78. "External Auditors' Independence and Culture: Perceptions in Fiji and New Zealand", Journal of Accounting and Finance, Vol. VI, No.2, 1992, pp.391-422. "Financial Distress and Tax-effect Accounting", Accounting Forum, Vol.14, No.4, March 1991, pp.21-32. “The Influence of Partners’ Views on Chinese Auditors’ Judgments of Professional Scepticism”, Journal of International Accounting Research (a journal of American Accounting Association), 2016, Vol. 15, No. 3, pp. 97-111. (ranked A by ABDC). “Is international accounting education delivering pedagogical value?”, with D. Tweedie, Accounting Education: An International Journal, Vol. 25, No. 3, pp. 223-238. (ranked B by ABDC). “The Influence of Native Versus Foreign Language on Chinese Subjects’ Aggressive Financial Reporting Judgments”, with Peipei Pan, Journal of Business Ethics (ranked A by ABDC), 2016, DOI 10.1007/s10551-016-3165-z. "Implementation of 'Audit Committee' and 'Independent Director' for Financial Reporting in China", with Stella Wu, Advances in Accounting, 2015, Volume 31, pp. 247-262 (ranked A by ERA and B by ABDC). "Understanding Adoption of Anglo-American Models of Corporate Governance and Financial Reporting in Emerging Economies: An Integrated Institutional Perspective", with Huiying Wu, Journal of Theoretical Accounting Research, 2013, Vol. 8, No. 2, pp. 186-224. “Factors Causing Differences in Financial Reporting Practices in Selected South Pacific Countries in the Post-Convergence Period”, with Parmod Chand and Ron Day, Asian Academy of Management Journal, 2009, Vol.13, No.2, pp.111-129. “Convergence and Harmonization of Accounting Standards in the South Pacific Region”, with Parmod Chand, Advances in Accounting, Volume 24, 2008, pp.83-92. (Ranked A by ERA). “Multidimensional Ethics Measure in Accounting Research”, International Journal of Accounting, Auditing and Performance Evaluation, Volume 4, No.1, 2007, pp.90-110. “Development of Financial Intelligence: An Assessment of FIUs in Australia and India”, with Milind Sathye, Journal of Money Laundering Control, Volume 10, No.4, 2007, pp.391-405. JILT was declared the overall winner of the Charlesworth Award for Electronic Journals 1996 and in 2002 the Journal was awarded the BIALL (British and Irish Association of Law Librarians) Serial Publication of the Year. “Cultural Influences on Judgments of Professional Accountants in Auditor-Client Conflict Resolution”, with G. Harrison and J. McKinnon, Journal of International Financial Management and Accounting (New York University Salomon Centre and the International Association of Accounting Research), Vol. 13, No. 1, 2002, pp.1-31. This publication was the joint winner of the PricewaterhouseCoopers best paper award, Southern African Accounting Association Biennial International Conference, Western Cape, South Africa, July 2000. “Cultural Influences on Aggressive Financial Reporting Practices”, with D. Cable, Asian Review of Accounting, Volume 8, Number 2, 2000, pp.60-80. “The Issue of Australian Indigenous World-View and Accounting”, with S. Greer, Accounting, Auditing and Accountability Journal, Volume 13, Number 3, 2000, pp.307-329. Raked A* by ERA and ABDC. "Doctoral Research in Accounting: A Survey of Supervisors in Australia", with C. Roberts, Accounting Research Journal, Spring, 1993, pp.48-52. "Convergence of Financial Reporting in Germany", in International Business: Theory, Management and Globalization, with Andreas Hellmann and Hector Perera, Nova Science Publishers, Hauppauge, New York, 2011 (classified as top-tier by the Faculty). "Realities of Globalisation of Financial Reporting Standards: Evidence from Accounting Modernization in Germany", with Andreas Hellmann and Hector Perera, Nova Science Publishers, Hauppauge, New York, 2011 (classified as top-tier by the Faculty). Corporate Governance and Financial Reporting in China, with Stella Wu, Emerald Publishing, Bingley, UK, Vol. 29, 2015..
Globalisation and Contextual Factors in Accounting: The Case of Germany, with Eva Heidhues, Emerald Publishing, Bingley, UK, 2012. Achieving Global Convergence of Financial Reporting Standards, with Parmod Chand, Emerald Publishing, Bingley, UK, 2011. Determining Stakeholder Prominence: An Empirical Study in Asia, with Lorne Cummings, Elsevier JAI, Oxford, UK, 2009. Keynote speaker: “Adoption of International Public Sector Accounting Standards in Indonesia: What Have We Learned?” at Public Sector Accounting Standards Conference held by Andalas University, Indonesia on 27th and 28th July, 2017. Keynote speaker: “Frontiers of Financial Reporting: Global Convergence”, CMA Frontiers of Accounting Symposium, 28 November 2017. “The Influence of External Foreign Pressures (Gaiatsu) and Internal Pressures (Naiatsu) on Japan’s Accounting Reforms since the Late 1990s”, with Nori Noriyuki Tsunogaya). American Accounting Association (AAA) Annual Meeting, August 2017. "The Influence of Islamic Religiosity on Professional Accountants’ Judgements on Global Convergence of Financial Reporting: Evidence from Bangladesh", with A. Ahsan, European Accounting Association Annual Conference, May 2017. “The Influence of Religiousity and Gender on the Information Source opn Auditors’ Judgments, with Nazia Adeel and Nonna M-Bennie, European Accounting Association Annual Conference, May 2017. “The Influence of Formal and Perceived Accountability on Chinese Accountants' Aggressive Financial Reporting Judgments”, with Peipei Pan, European Accounting Association Annual Conference, May 2017. “The Influence of Chinese Unique Institutional Environment on IFRS Convergence and Earnings Quality” with June Cao, European Accounting Association Annual Conference, May 2017. Key note address, “Risk Management: An International Accounting Perspective”, Risk Management International Conference, Turino, Italy, May 2016. "The Influence of Construal of Self on Chinese Auditors’ Acceptance and Likelihood of Engaging in Whistle-blowing", with Bella Zheng, Annual Congress of the European Accounting Association, May 2016 and Risk Management International Conference, Turino, Italy, May 2016. “An Empirical Investigation of the Influence of Translation and Context on Accounting Judgments: Evidence from China, with Peipei Pan, 7th Asia Pacific Interdisciplinary Research in Accounting (APIRA), Japan, July, 2013. “Gender Based Auditors’ Judgments in Indonesia” with Sany Dwita and Rahat Munir, 36th Annual Congress of the European Accounting Association, 2013 Paris, 6-8 May. "Adoption of International Financial Reporting Standards in Germany: A Case of 'Lost' in Translation", with Andreas Hellman, Looking to the Future: International Research in a Changing World, 2013, 7 to 19 October, Sydney. “Accounting Change Framework: The Case of Japan since the Late 1990s”, with Nori Tsunogaya, 35th Annual Congress of the European Accounting Association, Slovenia, May 9, 2012. “Significant Accounting Reforms in Japan since the Late 1990s”, Nori Tsunogaya, 2012 International Accounting Section Midyear Meeting, American Accounting Association, Phoenix, Arizona, February 25, 2012. “The Influence of Client gender and Auditor Gender on Auditors' Judgements: Evidence from Javanese and Minangkabau in Indonesia”, with Sany Dwita, and Rahat Munir, Asian Pacific Conference on International Accounting Issues, October 2012. “Resource-allocation specialization, market-recognition specialization and audit fees: evidence from the Chinese audit market” with Yingfei Liu, Sammy Ying, and Hao Qiu, Asian Pacific Conference on International Accounting Issues, October 2012. “The influence of acculturation on judgements related to professional scepticism: evidence from Chinese accounting students in Australia, with Sammy Ying, Asian Pacific Conference on International Accounting Issues, October 2012. “Holier‐than‐thou perception bias among professional accountants and accounting students in Germany” (with Philip Heinz and Andreas Hellmann), IABE-2012 Venice- Proceedings, Volume 12, Number 1, 2012, p. 364. “Some Theoretical and Methodological Suggestions for Studies that Analyse the Meaning of Accounting Terms and Narrations (with Andreas Hellman and Hector Perera), European Accounting Association 34th Annual Congress, Italy, April 2011. "German and Italian Accountants’ Materiality Judgments", with Eva Heidhues, European Accounting Association 34th Annual Congress, Italy, April 2011. "The Influence of Personality on Judgments of University Accounting Students in the Context of Consolidated Financial Reporting", with Peipei Pan, AFAANZ, Darwin, Australia, July, 2011. "The Influence of Personality on Judgments of University Accounting Students in the Context of Consolidated Financial Reporting", with Peipei Pan The Journal of International Accounting Research Conference, Xiamen, China, June, 2011. “The Accounting Ecology and Changes in Japan: The Influence of the German and the U.S. Accounting Systems”, with Noriyuki Tsunogaya, 2011 Annual International Conference-Korean Accounting Association, Jeju, Korea, June 2011. “Adoption of International Financial Reporting Standards in Germany: A Case of Lost in Translation”, with Andrea Hellman, Asian Pacific Conference on International Accounting Issues, Beijing, China, October, 2011. “Dynamic Contextual Framework concerning Global Convergence of Financial Reporting: The Case of Japan”, with Noriyuki Tsunogaya, Asian Pacific Conference on International Accounting Issues, Beijing, China, October 2011. "Accounting and Culture: The Issue of a Unique Australian Indigenous World-View", with S. Greer, Critical Perspectives on Accounting Conference, New York, April 1999. "The Influence of Culture and Personality on Aggressive Financial Reporting Practices", with D. Cable, Asian-Pacific Conference on International Accounting Issues, Hawaii, October 1998. "Assessment Methods and the Development of Higher Order Thinking Skills in Accounting Students", with J. Romcke & R. Day, 8th World Congress of the International Association for Accounting Education and Research, Paris, October 1997. "Cognitive Style and Data Fixation: The Influence of Field Dependent/Independent Cognitive Style on Data Fixation in an Accounting Context", with D. Hansen & R. Reeve, Annual Conference of British Accounting Association in Birmingham, UK, March 1997, and Annual Conference of Accounting Association of Australia and New Zealand, Hobart, July 1997. "A Comparative Study of the Influence of Acculturation on Perceptions of External Auditors' Independence", with J. Psaros & C. Roberts, Eighth Asian-Pacific Conference on International Accounting Issues in Vancouver, Canada, October 1996. "The Impact of Incentives and Imprecise Phrases on Accounting Consolidation Judgments", with J. Psaros, Eighth Asian-Pacific Conference on International Accounting Issues in Vancouver, Canada, October 1996. "The Influence of Cognitive Style on the Understandability of a Professional Accounting Pronouncement by Accounting Students", with R. Day, National Conference of the British Accounting Association, Birmingham, England, March 1995. "A Case Study of Work Related Values in Ukraine: Implications for Designing Effective Organisations", with R. Lanis, International Ukrainian Economic Congress, Odessa, Ukraine, May 1994. "Perceptions of External Auditors' Independence and National Culture: A Comparative Study Involving the UK, Australia, India and Malaysia", National Conference of the British Accounting Association, Winchester, England, March 1992. “An Empirical Investigation of the Influence of Translation and Context on Accounting Judgments: Evidence from China,” with Peipei Pan, Annual Congress of the European Accounting Association, Paris, France, May 2015. “Construal of Self and Professional Skepticism: Judgments of Chinese Accounting Students in Australia and China, with Sammy Ying, The 26th Asian-Pacific Conference on International Accounting Issues, Taipei, Taiwan, 2014, 26-29 Oct.
“An Empirical Investigation of Judgments of Chinese Professional Auditors in Evaluating Internal Control Systems,” with Bella Zheng, The 26th Asian-Pacific Conference on International Accounting Issues, Taipei, Taiwan, 2014, 26-29 October. “Contextual Factors Influencing International Convergence of Accounting: The Case of Indonesia, with Sany Dwita, The 37th Annual Congress of European Accounting Association, Talinn, Estonia, 2014, 21-23 May. “The Influence of Personality on Chinese Professional Accountants' Judgments Relating to Consolidated Financial Reporting”, the 50th British Accounting and Finance Association Annual Conference, London, 14-16 April. “The Influence of Personality Variables on Chinese Professional Accountants' Judgments Relating to Consolidated Financial Reporting”,with Peipei Pan, 26th Asian-Pacific Conference on International Accounting Issues, Taipei, 26-29 October. “An Empirical Investigation of the Influence of Translation and Context on Accounting Judgments: Evidence from China”, with Peipei Pan, 36th Annual Congress of the European Accounting Association, Paris, 2013, 6-8 May. "The Influence of Context and Personality on Judgments of University Accounting Students Relating to Consolidated Financial Reporting", with Peipei Pan, Asian Pacific Conference on International Accounting Issues, Beijing, China, October, 2011. “Competitive Advantages of Audit Firms in the Era of International Financial Reporting Standards: An Analysis Using the Resources-based View of the Firm” with Lian Kee Phua, ICEME 2010 Conference, 28-30 December, 2010 in Hong Kong. “Professionalism: Perspectives of Malaysian External Auditors and Government Auditors”, with Hilwani Hariri and Hasnah Haron, 2010 British Accounting Annual Conference, 30 March to 1 April, Cardiff, UK. "IFRS and exercise of accountants’ professional judgments: Insights and concerns from a German perspective”, with Eva Heidhues, Illinois International Accounting Symposium, Taiwan (Taipei): June 21-23. Received travel grant of US$1,600 from the University of Illinois. “Theoretical and Methodological Suggestions for Cross-Cultural Accounting Research”, Plenary Session address at Parahyangan International Accounting and Business Conference, 17-18 June, 2010, Bandung, Indonesia. Received travel grant to cover travel and accommodation. “Workshop on Enhancing the Quality of PhD Research and Getting Published”, with Eva Heidhues, Parahyangan International Accounting and Business Conference, 17-18 June, 2010, Bandung, Indonesia. “Equivalence of IFRS Across Languages: Translation Issues from English to German", with Andreas Hellmann and Hector Perera, European Accounting Association 33rd Annual Congress, 19 - 21 July 2010, Istanbul and 2010 AFAANZ Conference, 4 - 6 July 2010, Christchurch and Asia Pacific Interdisciplinary Research in Accounting 2010 conference, Australia, July 2010. “Measuring Meaning of International Financial Reporting Standards: An Examination of Uniformity Across Languages”, with Andreas Hellman and Hector Perera, Financial Reporting and Business Communication Fourteenth Annual Conference, Bristol, 1-2 July 2010 (organized by British Accounting Association and University of Bristol). “The Effect of Accounting Education and National Culture on Accounting Judgments: A Comparative Study of Anglo-Celtic and Chinese Culture”, with Parmod Chand and Lorne Cummings, Journal of Contemporary Accounting and Economics and Seoul National University: Special Joint Symposium 2010, 4th-5th January, Seoul, South Korea. “IFRS and Exercise of Accountants’ Professional Judgments” Insights and Concerns from a German Perspective”, with Eva Heidhues, International Accounting Congress (IAAER), Brazil, June 2009. “Modernisation of the German Commercial Code: Prospects and Concerns”, with Andreas Hellman and Hector Perera, International Accounting Congress (IAAER), Brazil, June 2009. “A Critique of Gray’s Framework on Accounting Values”, with Eva Heidhues, Interdisciplinary Perspectives on Accounting Conference”, Austria, July 2009. “The Effect of Accounting Education and National Culture on Accounting Judgments”, with Parmod Chand and Lorne Cummings”, Annual Conference of American Accounting Association, August 2009. “The Paradox of the Chinese Learners: Some Evidence from Accounting students in Australia”, with Brian Millanta and Herb Schoch, Asian-Pacific Conference, USA, November, 2009. “The impact of International Financial Reporting Standards on the Modernisation of the German Commercial”, with Andreas Hellman and Hector Perera,Asian-Pacific Conference, USA, November, 2009. “Accounting and Its Environment in China”, with Huiying Wu and Hector Perera, Asian-Pacific Conference, USA, November, 2009. “Convergence of Accounting Standards in Germany: Biases and Challenges”, with Eva Heidhues, Emerging Issues in International Accounting Conference, China, June 2008. “The Role of Accounting Information in Decision-Making Processes in a German Dairy Cooperative”, with Eva Heidhues, Emerging Issues in International Accounting Conference, China, June 2008. “Accounting Ecology and the Adoption of International Financial Reporting Standards in Germany”, with Andreas Hellman and Hector Perera, Asian-Pacific Conference on International Accounting Issues, November 2008. “The Effectiveness of Anglo-American Concepts of Corporate Governance and Financial Reporting in China”, with Hui Ying Wu and Hector Perera, Asian Academic Accounting Association Conference, Dubai, November 2008. “Interpretation and Application of ‘New’ and ‘Complex’ International Financial Reporting Standards: Implications for Convergence of Accounting Standards”, with Parmod Chand, Annual Conference of American Accounting Association, August 2007. This is one of the leading international conferences. “Self-Deception Ethical Bias Among Professional Accountants: A Cross-Cultural Study”, with Brian Millanta, 7th European Critical Accounting studies Conference, Glasgow, July 2007. “The Development of Accounting in its Socio-Econoc Context: The Case of Germany”, with Eva Heidhues, 7th European Critical Accounting studies Conference, Glasgow, July 2007. “The Political Economy of Convergence: IASB Standards for SMEs”, with Parmod Chand and Lorne Cummings, International Research Conference for Accounting Educators, Turkey, 9 to 11 November 2006. Comparable Financial Reporting in a Post-Convergence Period: A Myth or Reality?”, with Parmod Chand and Ron Day, Emerging Issues in International Accounting Conference, Italy, July 2006. “Judgements of Professional Accountants in Fiji: Implications for Convergence of Accounting Standards", with P. Chand, 2005 Emerging Issues in International Accounting Conference, Niagara Falls, USA, August 2005. This paper was awarded the Segun Wallace Best Paper Award. “Multidimensional Ethics Measure in Accounting Research”, International Research Conference for Accounting Educators, Bordeaux, France, September 2005. “Convergence and Harmonization of Accounting Standards in the South Pacific Region”, with Parmod Chand, The Effects of Globalization on Financial Reporting, Turkey, 25-29 May, 2005. “Western Cultural Biases in International Accounting Research”, with Barbara Nevicky, a level A lecturer in the Department, Emerging Issues in International Accounting, Padova, Italy, 24-26 June, 2004. “The Paradox of the Chinese Learners: Some Evidence of Accounting Students from Australia”, with Herb Schoch Emerging Issues in International Accounting Conference, Niagara Falls, USA, July, 2003 and Asian Academic Accounting Association 4rd Annual Conference, Seoul, Korea, October 2003. “Some Suggestions for Selecting Dependent Variables in Cross-Cultural Accounting Ethics Research”, Asian Academic Accounting Association 3rd Annual Conference, Nagoya, Japan, October 2002. “Some Cross-Cultural Evidence on Whistle-Blowing as an Internal Control Mechanism”, American Accounting Association 2001 Annual Meeting, Atlanta, August 2001, and Emerging Issues in International Accounting Conference, Niagara Falls, USA, August 2001. “Social Desirability Response Bias Among Professional Accountants”, Sixth Symposium on Ethics Research in Accounting, Atlanta, August, 2001 and Emerging Issues in International Accounting Conference, Niagara Falls, USA, August 2001. “A Study of Uncertainty Expressions in Australian Accounting and Auditing Standards”, with J. Psaros, European Accounting Association 24th Annual Congress, Athens, April, 2001. “Some Cross-Cultural Evidence on Whistle-Blowing as an Internal Control Mechanism”, Asian Pacific Conference on International Accounting Issues, October, 2000, Beijing. “A Review of Selected Cross-Cultural Accounting Studies: Some Theoretical and Methodological Suggestions”, Emerging Issues in International Accounting Conference. Niagara Falls, USA, August 2000. “Debiasing the Curse of Knowledge in Audit Judgement: Experience Reconsidered”, Southern African Accounting Association, with R. Reeve, H. Holmes & P. Li, Western Cape, South Africa, July 2000.This paper was the joint winner of the PricewaterhouseCoopers best paper award, Southern African Accounting Association Biennial International Conference, Western Cape, South Africa, July 2000. “Cultural Influences on Judgments of Professional Accountants in Relation to Auditor-Client Conflict Resolution”, Emerging Issues in International Accounting Conference. Niagara Falls, USA, August 1999. "External Auditors' Independence and Culture: Perceptions in Fiji and New Zealand", International Conference on Accounting Issues, Jaipur, India, September 1992. Member of American Accounting Association (AAA), International Accounting Section of AAA, Accounting, Behavior and Organizations Section of AAA. Chris is the New South Wales President of the Institute of Certified Management Accountants of Australia. I undertake top-level research in areas that excite global interest, mentors research students and colleagues, publishes high-impact papers, collaborates with colleagues locally and globally, and develops skills, knowledge and attributes in the next generation. I have contributed in enhancing the quality of undergraduate and postgraduate courses at three universities in Australia (Macquarie, Newcastle and Wollongong) and at universities in Malaysia, China, Fiji, India, Indonesia, Samoa and Papua New Guinea. I also provides learning and teaching leadership in curriculum development and by mentoring the less experienced staff members both at Macquarie and Globally. Details of my contributions in learning and teaching at these universities are available on request. Chris Patel is commended for his engagement with students, encouraging them to become involved with learning at a deeper level. In recent years, much of his teaching has been in postgraduate accounting courses, involving large number of international students, and from this he has recognised the importance of cross-cultural accounting studies. He has taken this further, under the rubric of “The Paradox of the Chinese Learner”, and investigated the misconceptions surrounding rote learning and its role in memorising for understanding. Chris is a highly skilled and productive researcher who brings his passion for research into his classes. He provides a structured classroom environment intended to support variations in student learning and, in his dealings with his students, demonstrates empathy and provides sound academic advice. Chris has the ability to develop, maintain and include professional links within his classes and these links are successfully integrated with learning opportunities. One of his students said: “He always dealt with me with respect and appears to value my opinions, seeming to address me as an equal. This really meant the world to me and filled me with a great deal of confidence. I have the greatest faith in the belief that Professor Patel is not only an outstanding teacher but also a wonderful role model. I was the Head of the Department from March 2004 to February 2009. Details related to my achievements as the head are documented in the Annual Reports. One of my main objectives was to improve the research ranking of the Department both within Australia and globally. A 2007 global ranking of accounting research published in top 24 accounting journals worldwide rated Macquarie University at sixth in Australia and 61 in the world. Using top 5 journals, Macquarie University was ranked in Australia behind only UNSW and Melbourne, and number 70 in the world on a list dominated by U.S. universities. (K. C. Chan, C. R. Chen and L. T. W. Cheng (2007), “Global rankings of accounting programs and the elite effect in accounting research”, Accounting and Finance, 47: 187-220). These were considerable achievements for everyone in the Department and a significant step towards Macquarie’s strategic plan. As the head of International Accounting Cluster, I provide leadership in establishing a globally strong reputation in International Accounting research at Macquarie University (see http://mq.edu.au/research-impacts/2014/09/01/international-accounting/). This global research strength attracts quality HDR students and visiting scholars from countries such as China, Japan, India, Indonesia, Italy, Bangladesh, Pakistan, Sweden, Denmark and Germany. Scholars come to Macquarie to work under my supervision on various research projects for periods ranging from two weeks to two years. I have mentored visiting scholars on research supervision from Pune University (India), Wuhan University (China), Nanjing Audit University (China), University of Torino (Italy), University of Nagoya (Japan), Yokohama University (Japan), Joenkoeping International Business School (Sweden), and Aalborg University (Denmark).Importantly, I involve the visiting scholars in improving the quality of both formal and informal aspects of my supervision. Feedback from visiting scholars has clearly shown that they learn and apply aspects of their Macquarie supervision experience in their home universities. Feedback from my HDR students also clearly shows that they value inputs and feedback from visiting scholars. I endeavour to create an enriched and culturally diverse global research environment for my students to develop and grow as researchers. I am passionate about building research capabilities particularly at universities in emerging countries. I have conducted workshops universities in China, Malaysia, Fiji, Sri Lanka and Indonesia to build their research capabilities. I do not ask for any financial rewards.Over the last five years, 322 staff and HDR students have participated in my research workshops. My contributions have been particularly valued by universities in emerging countries. For example, in 2017 the University of Jaffna in Sri Lanka awarded me for “…dedicated services rendered to the University”. Additional details related to my contributions to organisational service and community engagement both within Australia and globally are available on request. Currently Chris is supervising seven PhD students on various topics related to International Accounting. Over the last five years, he has successfully supervised the following six PhD students to completion. Each of the successful PhD students has received excellent examiner's report. Eva Heidues, 2012. Thesis is entitled, "Globalisation and Contextual Factors in Accounting: The Case of Germany". Stella Ying Wu, 2012. Thesis is entitled, "The Adoption of Anglo-American Models for Corporate Governance and Financial Reporting in China". Expected to submit by July 2011. Jointly supervising with Professor Hector Perera. Andreas Hellmann, 2012. Thesis is entitled, "International Convergence of Financial Reporting Standards: the Case of Germany". Hilwani Hariri, 2010, Universiti Sains Malaysia. Thesis is entitled, "Non-Audit Service Fees, Audit Tenure, Audit Competition and Professionalism on Auditors' Independence: The Perception of External Auditors and Government Auditors". Parmod Chand, 2009. Thesis is entitled, "Achieving Global Convergence of Financial Reporting Standards: Implications from the South Pacific Region". Susan Greer, 2006. Thesis is entitled, "Governing Indigenous Peoples: A History of Accounting Interventions in the New South Wales Aboriginal Protection and Welfare Boards 1883-1969". My track record as an academic. I am an internationally recognised academic in the field of international accounting and provide research leadership at Macquarie University (MU). We are recognised as pioneers and leaders in International Accounting research. My high profile has attracted quality students to MU’s research program and contributed to MU’s global reputation. My objective is to collaborate with my colleagues to build a dedicated team at MU to “accelerate world-leading research performance” in international accounting (MU’s Strategic Research Framework 2015-2024: key objective 1) and provide “internationally-aligned degrees with global relevance” (goal 2.5). Key to this strategy is attracting and supporting HDR candidates. I work closely with academics around the world and bring visiting scholars to MU who are attracted by my innovative and cross-disciplinary theoretical and methodological framework in international accounting. I involve the visiting scholars in improving the quality of both formal and informal aspects of my supervision. My objective is to build a transformative research capability both at MU and selected overseas universities, to enable HDR candidates to become valued members of the global research community. This objective is consistent with MU Strategic Research Framework: 2015-2024 “prepare world-ready higher degree research candidates“(key objective 2). Commitment to mentoring. I believe that mentoring is crucial in students succeeding in their PhD journey. It is also critical to MU’s PhD supervision capacity so I am active in mentoring staff new to supervision in developing their skills. My approach is to work closely with students, particularly in the early part of their study program. Students know that I am available to them when needed and offer support, based on an understanding that the PhD is a consuming endeavour in which they need wise counsel and guidance. As part of my support I have developed networks for students, including ‘learning circles’ and a running club, where they can also engage in peer mentoring and overcome some of the isolating aspects of being a PhD student, especially an international student (the majority of my PhD supervisions). This active mentoring model has led to my students being both successful and timely in their completion and to their work being recognised in terms of prizes, publications and conference presentations. In terms of mentoring new staff, I extend the same ‘open door’ policy to staff as is offered to students, to provide a personal and nuanced approach, sharing my own experience and expertise. Last Updated: 2018-05-28 16:55:31 by Ms Ervina Ang.